You might find it useful to use our boat departure calendar on our dedicated website to help you plan your trip: Liveaboard departures. Clubs and groups will want to review our Dive Groups section for a summary of the best value deals available. Looking to venture further so you can experience dive destinations with the highest marine life diversity in the world? You'll discover that we offer dozens of adventure-laden Indonesian liveaboard cruises for diving in Komodo, Raja Ampat, the Banda Islands, Wakatobi and the Lembeh Strait in Sulawesi, Alor and Flores. • Choose your liveaboard adventure! Indonesia has such a superb array of liveaboard diving destinations that any one of its lesser known attractions would be major drawcards elsewhere in the world. Your choice of destination is important since some itineraries such as those in Komodo and Sulawesi cover one distinct area. There are also specific Raja Ampat and Banda Islands cruises, as well as transit trips which combine both destinations. Time available is also a factor since the range of tour duration can be from just a few days in the Komodo National Park to 2 weeks in Raja Ampat. The Komodo Island National Marine Park, located in the Nusa Tenggara region of Indonesia, continues to be our most popular scuba destination. Strong currents sweep rich plankton harvests into the shallow water channels around these islands, attracting large, feeding pelagics such as whale sharks and manta rays. The walls field an incredible amount of colourful filter feeders, such as sea apples, sea squirts, tunicates and crinoids. Numerous protected bays are havens for macro life with frogfish and pygmy seahorses quite common. Komodo tours typically include land visits to see the legendary Komodo dragons, and average between 7 and 11 nights long, although lower budget boats cater for short stays. Most of the diving cruises will include well known sites such as GPS Point and Cannibal Rock. Extended charters continue on to Maumere Bay in Flores and Alor. West Papua liveaboards to Raja Ampat attract more than their fair share of praise from experienced divers. Said to be home to the greatest number of fish and coral species anywhere in the world, the beautiful and remote mushroom-shaped islands of Raja Ampat harbour amazing macro opportunities, dense schools of fish as well as manta rays, and stunning reefscapes. More intrepid itineraries now venture even further into this remote region to visit Triton Bay and Cenderawasih Bay, famed for its whale sharks and countless World War II wrecks. The routes in Raja Ampat cover a huge area of sea in this eastern section of Indonesia. Trips tend to be between 8 and 14 nights' duration. Safaris of such length attract serious scuba divers and the remoteness of the locations means that the normal clientele on these liveaboards are divers who have experienced many other countries before treating themselves to the pinnacle of liveaboard destinations. The waters of the Banda Islands and Ambon promise riches beyond the wildest dreams of many dive destinations worldwide. The Banda Sea has historically lived in the shadows of other Indonesian diving areas but is now recognised as an excellent liveaboard region in its own right with many unique characteristics. In addition to the critter haven of Ambon, big pelagics and large schools of fish abound, and the reefs are healthy and thriving. You will see squadrons of mobula rays, good shark action, and some impressive dog-toothed tuna. The volumes of reef fish in the Banda Sea need to be seen to be believed. Trips involving Banda range from 7 to 14 nights, with longer ones being more common. They are popular with experienced divers looking for new, world-class locations for their liveaboard cruise. This tends to be an area favoured by higher quality boats. Sulawesi is home to liveaboards both in the well known northern regions of Bunaken and Lembeh, as well as further south in the Wakatobi region. If underwater encounters with the unusual and bizarre is your interest, then look no further than liveaboards in the Lembeh Strait, Bangka, the Sangihe Archipelago and Bunaken Island; any scuba itinerary here cannot fail to impress. The world renowned waters of Lembeh are home to some of the world's most amazing creatures. Mimic octopus, hairy frogfish, snake eels, spiny devilfish, pegasus, stargazers and mandarinfish are just some of the critters that attract many an underwater documentary camera crew. Currently there are not a great number of North Sulawesi liveaboard tours but they provide an alternative to the many resorts in the area and cover several high quality diving regions. Trips range from between 7 and 11 nights' duration, and from high-end luxury to the more affordable. Luxury charters also visit the renowned Wakatobi Archipelago for cruises of 7 to 14 nights duration. These dive safaris focus on the outer atolls of the region which are virtually untouched by man, and the coral reefs are simply exquisite. Come diving in paradise while there are still vacancies! Diving, air-conditioned cabins, catering, non-alcoholic drinks, transfers, weights and weight-belts, torches and tanks, professional divemaster and all taxes. Your shortlist quote will include no 'hidden extras'. Please note that marine park fees vary with destinations visited and the cost will be stated in the shortlist that we send you. Full sets of scuba equipment can be rented from US$ 20 per day. We recommend that all our customers take out insurance to cover diving and travel activities, including trip cancellation. See our insurance programme for a competitive quote. Komodo liveaboards often depart from Benoa Harbour in Bali. Transfers are provided free of charge from all areas of Bali (unless otherwise stated). Other trips depart from ports nearer to the Komodo National Park; these are Labuan Bajo, Bima and Maumere, and all involve a short flight from Bali. Raja Ampat: Sorong is the port of departure and return for most Raja Ampat cruises. If Banda is included, Ambon may feature as the port of departure or return. Banda Sea: Ambon is the port of departure and return for all Banda Islands tours. If Raja Ampat is included, Sorong may feature as the port of departure or return. Sulawesi: Manado is the starting point for North Sulawesi liveaboards. They depart from Manado or Bitung near Lembeh. Wakatobi is the port of departure and return for dive charters in the Wakatobi area. For other destinations in Indonesia, departure point details will be sent to you by email. The customer rating displayed for each liveaboard safari indicates our customers' satisfaction. 5 star is excellent, 4 star is very good, 3 star is good, 2 star is average, and 1 star is below average. 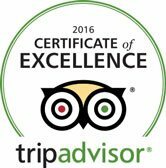 We ask each and every one of our customers to rate their adventure. The rating earned is an average of ratings received over the last season. This way, we ensure our recommendations and ratings are truly impartial and reflect up to date performance based on the most important indicator - your satisfaction! The world's greatest fish & coral diversity. From US$ 242 per day. Liveaboard charters diving the Bandas. From US$ 269 per day. Cruises to the world famous dragons & reefs. From US$ 200 per day.